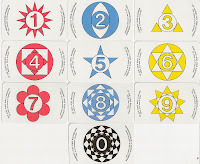 The deck based on the numerology of Georges Muchery. 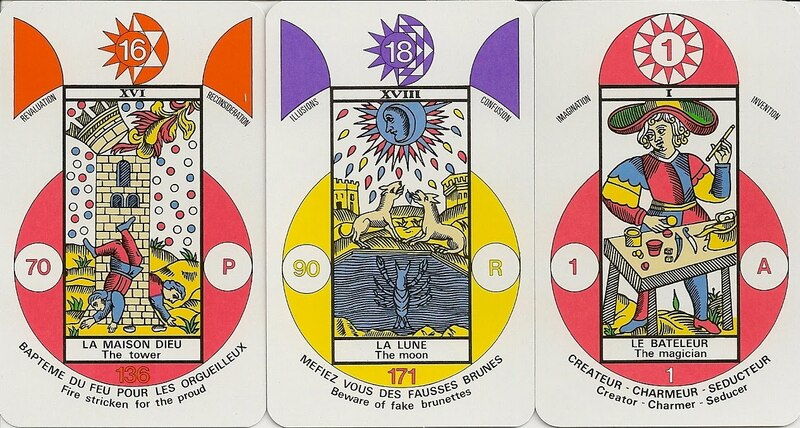 If the Major Arcana number is even it is enclosed in a feminine shope, if it is odd in a masculine shape. 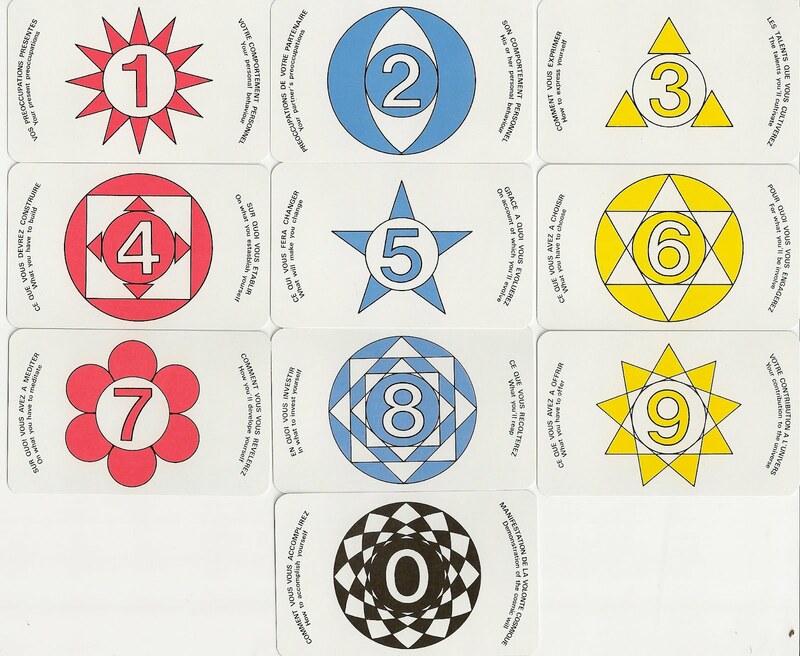 The number on the left of the image is the kabbalistic number and the letter on the right corrsponds to the number of the card. At the bottom is a number calculated from the Tetraktys of Pythagoras. 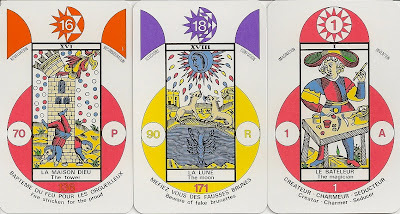 In addition to the 78 tarot cards with images from the Tarot of Marseilles there are ten numbered "question cards".